Get Your Summertime Savings for Wet ‘n Wild – Before It’s Too Late! Summertime fun is upon us, and there’s no better way to cool things down in the sunshine state than a fun-filled, water-soaked day at Wet ‘n Wild® Orlando. 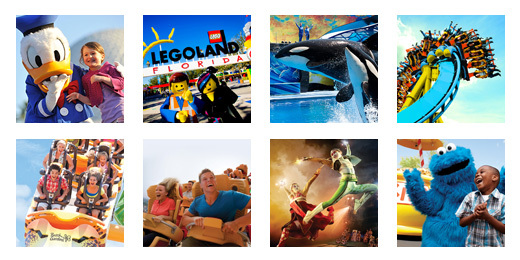 Before you grab the sunscreen and new bathing suit, check out this awesome Wet ‘n Wild Orlando special on TicketsatWork.com: Save 25% on unlimited visits for 14 days. Located just minutes away from the Universal Orlando® Resort on the popular International Drive, Wet ‘n Wild is a premier water featuring superb thrill rides for a full day of watery good times for the entire family. But! Yes, we had to add a small ‘but’ to this super special. Universal Orlando Resort, which has owned the park for many years, has announced that Wet ‘n Wild is closing at the end of 2016. In its place will be Volcano Bay, set to open in 2017. So now is the time to book some fun in the sun at Wet ‘n Wild Orlando! Sure, the new water park looks to be a big winner with its new waterfall, water slides, wave pool, and much more, but Wet ‘n Wild is something of an Orlando institution, opening in 1977 and visited by millions of guests over the years – seeking out fun in the sun in the city. So if you’ve ever wanted to visit Wet ‘n Wild, or would like to splash around the famous water park one final time, click over to TicketsatWork.com for our amazing savings. • Aqua Drag Racer™ – The tallest, fastest 4-lane drag race without wheels in Florida. • The Storm – A swirling body coaster is a torrent of thrills. • Der Stuka – “Free fall” down this nearly vertical, six-story speed slide. • The Black Hole™: The Next Generation – A deep space adventure that is light years from ordinary. • Disco H2O™ – Prepare for a trip to the 1970’s on this watery disco nightclub. • The Flyer – A four-passenger, in-line toboggan adventure ride. • The Surge – A multi-passenger tube ride with 600-feet of banked turns. • Blastaway Beach™ – With a six-story castle, two pools, 15 slides and over 160 water cannons, jets, soakers and waterfalls, it’s the largest family water play area in Florida. • Lazy River – Take a leisurely float around the park on a gently flowing river. • Surf Lagoon – Four-foot high waves roll across the 17,000 square foot wave pool. The facts are this: Wet ‘n Wild Orlando will close permanently on Dec. 31. But there is still plenty of sunny days left to make your last splash at Wet ‘n Wild in Orlando one to remember. Snap up your tickets today on TicketsatWork.com and save 25% on unlimited visits for 14 days. Don’t miss your last chance to share the wet and wild fun at… Wet ‘n Wild Orlando.